Architectural impressions of Harsuf. Can not read this email? click here. Architect Ilan Pivko used our folding shutters in his Harsuf villa project close to Tel Aviv. 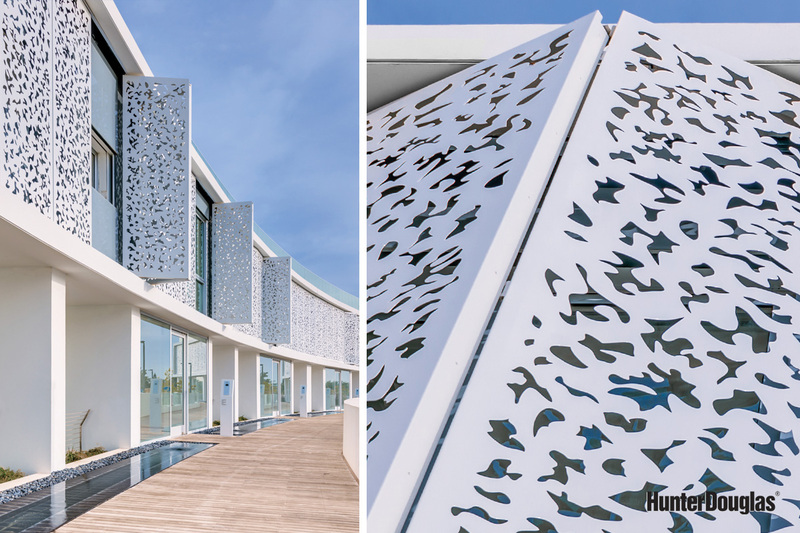 What makes the project so unique is the special design of the perforations, which gives the illusion of falling leaves. When closed, the shutters render the building's façade completely flat and uniform. 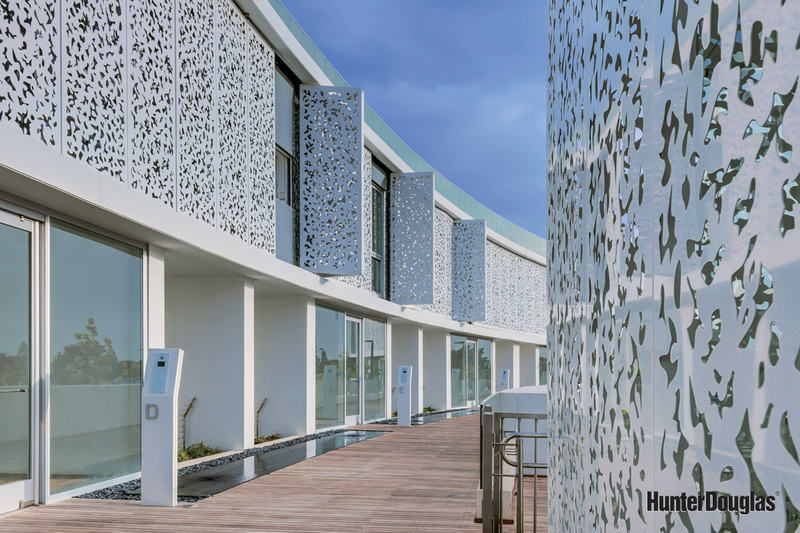 Hunter Douglas offers a wealth of options when it comes to façade-based sun protection. 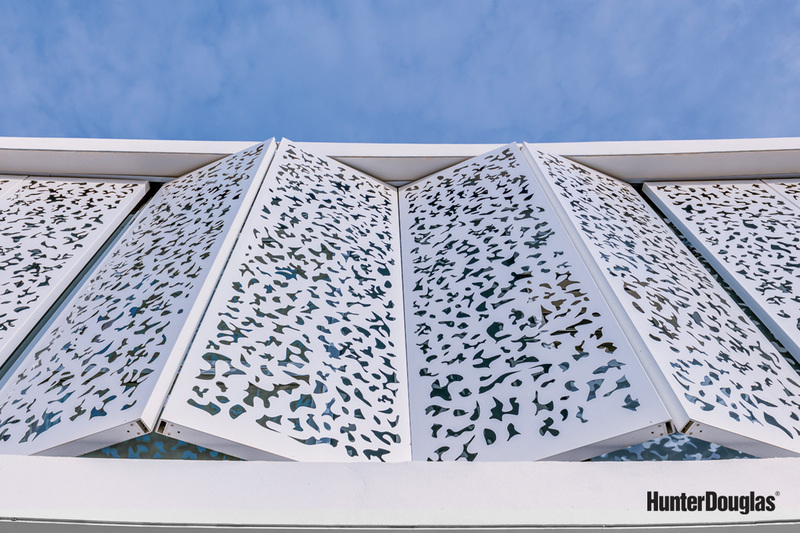 Our folding shutters are a prime example – we can perforate them for you in any pattern you like. The perforations filter sunlight, enable you to see outside and reduce heat. 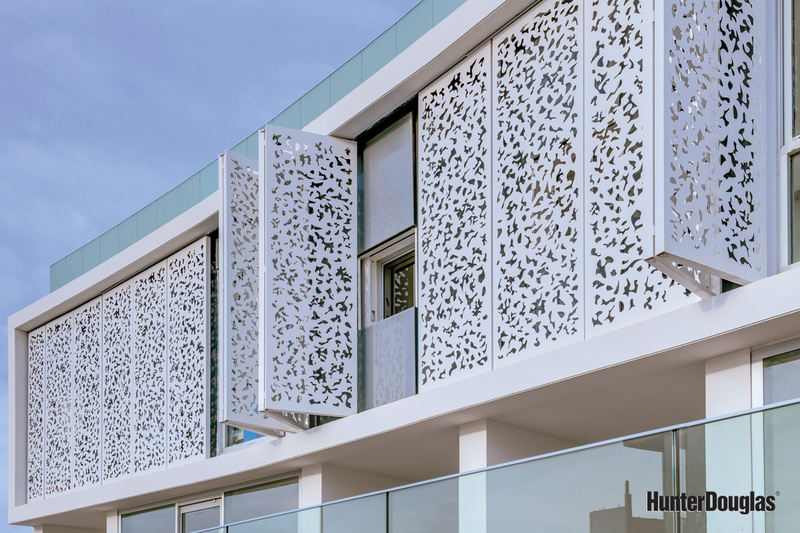 Perforated folding shutters create a stylish, dynamic effect. This is in part due to the fact that they can radically change a building's façade, turning it from a closed shell to an open one and vice versa. The shutters can be operated either manually or using a motor.